09/02/2018 Hiring a VA is Expensive, Isn't it? I was having a bit of a nostalgia moment today, one of those moments that kick start the drive to get a blog together. We take for granted the technology we have today and the ability to work from home, work flexibly and have an answer to everything at our finger tips, just a Google away. If I could go back to my 16 year old self and tell her about the tech we have today and how what I learnt in those first working years would play the starting point towards me running my own business as a Virtual PA 30 years from then; I doubt I'd believe it. That would just be the stuff of Star Trek and those early sci-fi movies. My office career began on 14th June 1982, a week or so after finishing my last O'Level exam, in the regional office for the electrical retailer Rumbelows. I was a clerk/VDU Operator in the Cash Office. One of maybe 30 or more people, all doing the same job. Rows of us in a large office; in a big office building here in Bolton, containing lots of other large departments of a similar layout with dozens of employees doing other clerical roles; all key parts of the business process chain. It was a very paper heavy clerical role, but NO, I didn't work at a typewriter. I worked at a computer known in those days as a VDU terminal. Huge thing with a small curved monitor with a green screen with green text (could have been orange). I seem to recall the keyboard was attached and there was no way of adjusting the screen height or tilt. You had to stop everyone else from typing if you needed to go back and amend a typo, or the system would crash. "System 10!" I think was the appropriate call sign. 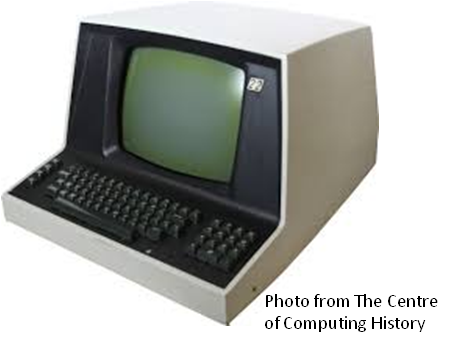 In those days everything inputted into the computer system was stored on huge tape drives that were updated over night. The day's number crunching was printed out onto endless reams of continuous paper deposited in neat folded stacks in order for the job your department handled to be passed on to the next department in the chain. From the shops selling, renting or providing those TV's, music centres, washers, cookers etc to customers on hire purchase schemes (the days before credit cards); I worked in the first part of the head office conveyor belt. The office was lead by a very strict dictator style manageress. No-one was brave enough to stand up to her. You couldn't provide your first name to anyone on the phone; I had to say I was Miss Page; not something you feel at all comfortable with at 16 years old, but you got a severe telling off if a shop manager rang asking for you by your first name. Stationery was controlled and rationed by her. You had to prove your pen had run out before you got a new one. And everyone had to do exactly the same amount of overtime. I was well and truly thrown straight in it for my first year of work. From September the Christmas trade started, so there were NO holidays from September and through to the end of February while we caught up with everything. Not that I was entitled to any holidays in that first year anyway as you had to accrue a full year's employment before accruing any paid leave. I was knackered by the following Easter. I earned about £25-30 per week and I was loaded. That was a lot of money for someone only used to getting a few quid in pocket money beforehand. Health and wellbeing, as well as ergonomic workstations were an alien concept in those days. I sat on the most uncomfortable office swivel chair there was – the back support was broken, and little other adjustment was possible. Smoking in the office was accepted and done by the majority; I was one of the minority of non-smokers in the time when passive smoking wasn't even considered. There were windows, but on a breezy day there were too many papers to hold down if the window was open too far. There may have been the odd desk fan, but most definitely not one per person. Yes, working conditions were a lot better than in those dark satanic mills of decades earlier, but how far things have moved on now. Can you imagine any of that in the office environment now? In the 7 years I worked there, I saw technology move forward if only slightly. We were still in those days before the office computers that we know of today and the storage/sharing of data. There was also a mutiny regarding the regime governed by the office manager, we moved into a larger office area at the back of the building and sat in groups and we got new chairs too. There was a great camaraderie in the office, we were a team and there was always competition and rivalry with other departments. 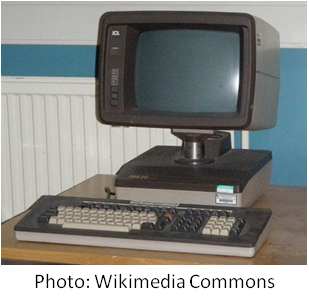 I moved on to a similar role at Radio Rentals in 1989, still using a VDU terminal and even though the World Wide Web began in 1993, we still didn't have PCs that updated the account information until the following day when I left there in 1996. We did have 1 PC in the office though that we'd use to dial up Equifax to locate post codes on though, and we had a fax machine to get an urgent copy of a document to/from the shops. Such progress! And, smoke free offices started to become a thing, although there was a lot of conflict around the smoke breaks the smokers got against non-smokers who were expected to have their brew while working. Finally the afternoon office smog was a thing of the past along with waste bin fires too. With each job the tech moved forward and improved. 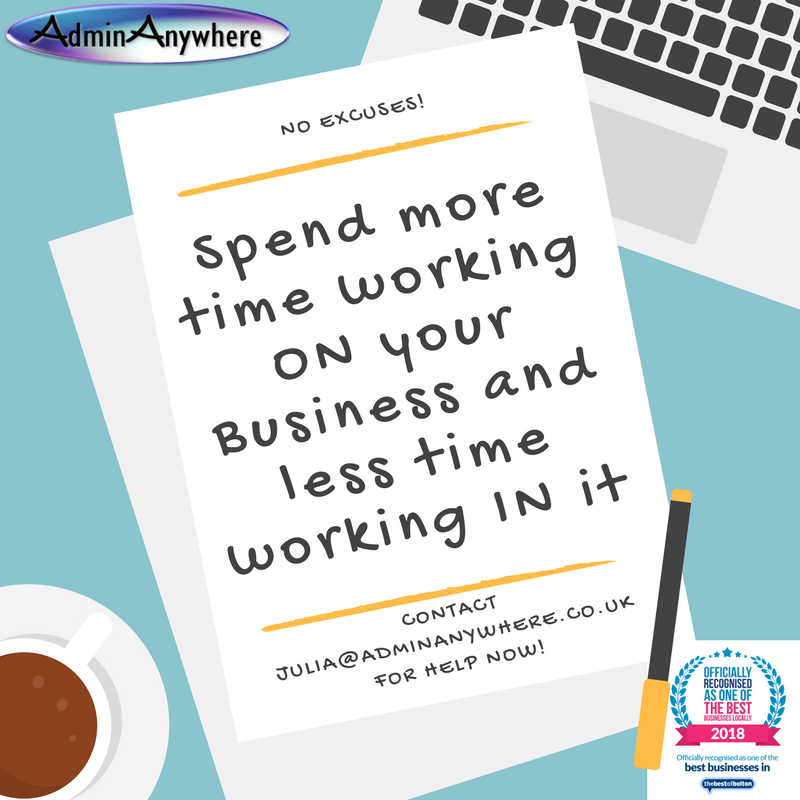 I'm 6 years into running AdminAnywhere, my Virtual PA business support service. I think in these 6 years everything has moved along so much faster. I know I've learned so much more and developed my admin skills immensely; and continue to do so. So how will life in the office be in another 30 years? AI and everything else digital is common place in our lives now. What is still to come? 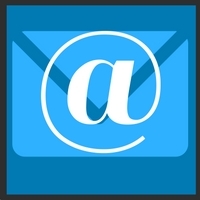 The holiday season is approaching; do you want to be mithered with your business emails again while your away this year? I suspect most of us will appreciate that there's rarely a standard 9-5 day when you run a business; especially when you run it on your own. But what about when you go on holiday? Do you spend your holiday regularly checking your email or do you set the 'Out of Office' auto responder and dread switching the PC back on when you return? Either way, it's very difficult to relax during that time away from the business. Your business is very important and so it should be, you've invested so much into getting it to this stage. In fact, you deserve a holiday for all the graft you've put in, and I'm sure your family / friends will appreciate you spending this quality time with them and not your emails. Why risk losing the potential new customer with such a cold automated response? Remember also that your 'Out of Office' message will reply to every email that you receive; that's anybody sending a real enquiry and the spammers too. Let me keep an eye on that email for you. I will check into your email account at least twice per day. I will filter out the important from the junk. I will respond to any potential new business enquiries with courteous replies tailored to fit the enquirer's request. I will send them your brochure, price list or catalogue; depending on the enquiry, so that they can learn more about your service while they await your return. I will organise your emails into folders, e.g. enquiries, personal, general information e.g. newsletters, and anything else that needs separating out, to prioritise and organise them ready for action when you return from your holiday. Additionally, if required, I can also handle your diary and schedule some appointments for those first few of weeks after you return, too. 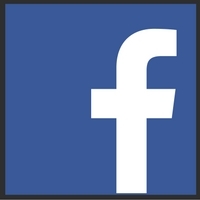 There may be something specific to your business that I would need to look out for too. All this would be discussed with you during a free meeting prior to your holiday. When I can find out about your business and make all the necessary arrangements for your holiday cover. 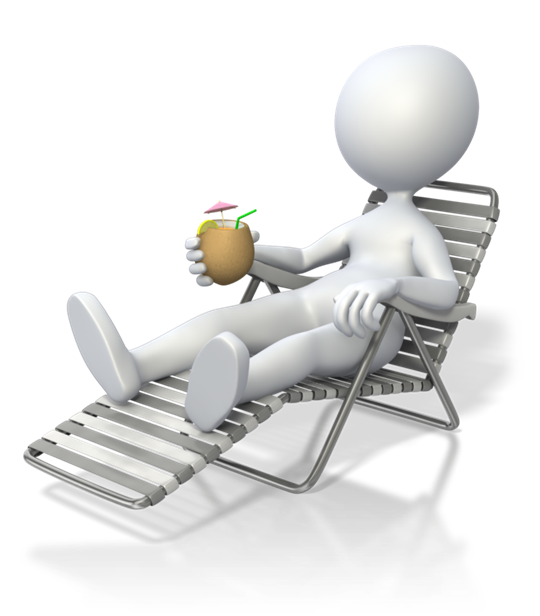 All this from £24 per week* allowing you to relax and enjoy your holiday, safe in the knowledge that your business is in safe hands and organised ready for you to retake the helm when you return. *Minimum charge. The actual cost will be calculated according to the overall time accrued; which depends on quantity of emails and work involved. Time will be monitored and charged accordingly at the rate of £24 per hour. The cost is fixed at £24 for any time accrued under 1 hour. 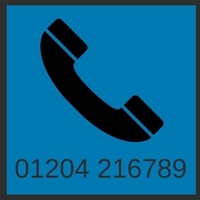 I don't generally offer a telephone answering service but we can discuss options specific to your needs if required. Please read my Case Study about how this service was applied when I looked after a local photographer last year. Are you packing too much into the jar or just shovelling stones? You've probably come across the analogy for time management about putting a variety of stones and grit into a jar. The principle is that you have a pile of different sizes of stones, pebbles and grit and you're asked how you fit them all into a jar, to represent the analogy of fitting everything you need to do into the time you have to do it. It’s all about organisation and the need to get on with the big jobs (larger stones) before all the little things (grit) take up all the room. Just like all the tasks that need to be done in a business day, (week, month, etc). This is great, however it also contradicts another principle I have come across: "Before you can move a mountain you need to start by shovelling stones"
Put these 2 together though and it's a great way of highlighting the need for businesses to utilise the services of a VA and other outsourced services. So here’s my merged view point. 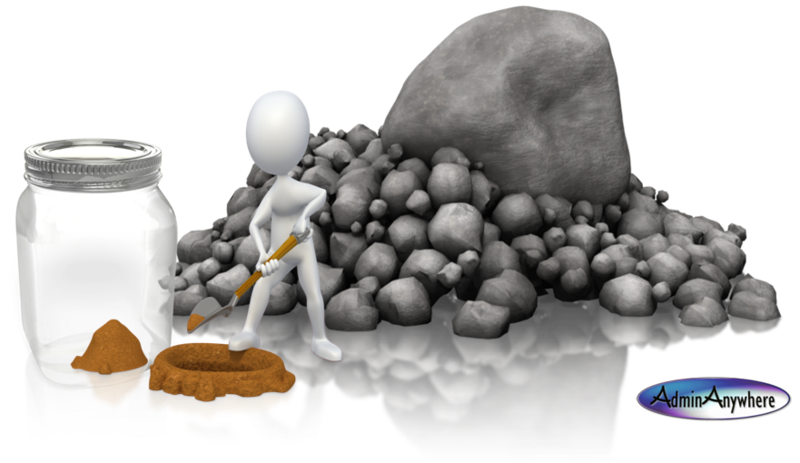 I have always worked on the principle of getting the small jobs out of the way before they piled up into one huge job that loomed down on you; as in the second principle of shifting the pebbles before moving the mountain. Although, some days, I have to admit that this does leave little time to venture onto the jobs that were already big. In business, especially if you’re a solo entrepreneur or micro business; it is ever more difficult to fit everything you need to do in the time you have, even with the best time management and organisational skills. And quite frankly with the best will in the world how many people can really be that organised all the time. Therefore, the jar increasingly needs to be bigger and bigger still, as you work longer hours and weekends to keep up. So there comes a time when you just have to get an extra jar; i.e. employ some help. However, that jar doesn’t have to sit on the same shelf as yours, and you don’t have to buy it either. You can rent it out by the hour and on a flexible basis too. I.e: you can outsource the work to a freelancer or Virtual Assistant. You don’t have to handle everything yourself! AdminAnywhere can handle lots of those little jobs (i.e. the grit and pebbles) so that you can concentrate on the business (i.e. those bigger stones). There’s no formal employment commitment nor are there any employer on-costs to factor in and you don’t need to provide office space either, as I can work remotely from my office location. ...In fact I can organise and handle the majority of whatever the office backlog is, so you can focus on the bigger scenic picture i.e. the running and growing of your business. 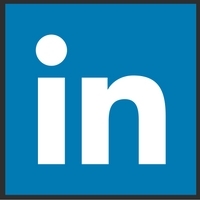 I wrote this blog recently for a post on Linkedin. Time to share it here too. "Crickey! I could employ someone a lot cheaper than that!" Erm - well that's not really true! 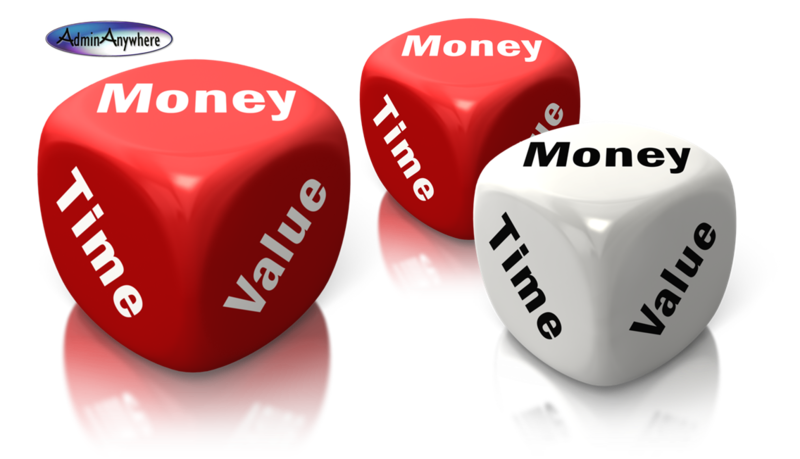 VAs generally charge by the hour and that's the way I generally chose to charge for my services. For that you get a highly experienced expert administrator and business owner supporting your business, when you need the help. 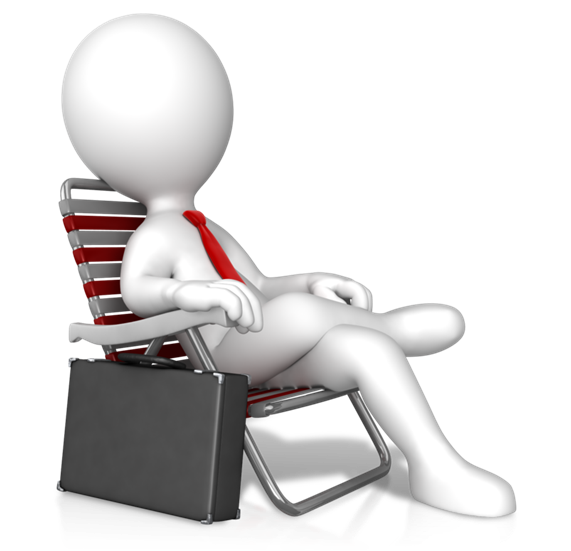 The Job: Have you written the job description/person specification? How many hours do you need to cover? The role will need a specified number of hours and days/times. Recruitment costs: How much to advertise the role? How much time will it take to find someone? Factor in the cost of your time to sift through the applications, interviews etc. Agency fees if you outsource this task will probably be over £500. Training: So you've recruited someone on a low wage. How skilled are they? How much training will be required? Have you got the time and skills to train your new recruit? Outside training costs? Costs and time unknown. All those other on-costs: National Insurance, Pension, Insurance, holiday pay, sick pay, etc. These all add onto that £8 per hour wage. Now let's look at the productivity of those hours you're paying for. Even if you just needed someone part time, you decided on 4 hours a day to make it worth while employing someone. Do you get 4 hours of solid work done each day? How much time are you paying for your employee to twiddle their thumbs when it's quiet? How much time is spent chatting and keeping up with their social media? If your business is ready for someone to officially take the helm in your office then go for it, recruit and look after your investment, but realise that they really deserve to be paid much higher than minimum wage. Here is a very handy employee cost estimator that I've found on the web courtesy of Gravity Credit Control (You can probably find other similar ones via other searches too). If your admin needs fluctuate or you need someone now, then a VA is the solution. VAs have the experience and expertise to jump in and get the task done with the minimum of your time. I, for example, have over 30 years experience as well as 5 years as a VA and running AdminAnywhere. You just pay for the time I spend on your work and not the downtime - so if it only takes an hour and a quarter this week it will only be £30. All the above on-costs are covered by me. Earlier this week I had the pleasure of attending the Big Bolton Business Conversation; a new business conference and networking event organised by the Best of Bolton, with keynotes presentations froom Ben Kench and Brad Burton. Ben Kench was one of the key note speakers; his presentation was about being Authentic; being who you are in how you present your business; and having the passion and not being afraid of showing it. That really hit home to me, as I do 'wear my heart on my sleeve', and I do often feel that I'm not supposed to be so honest. As a business owner we're always expected to be big and successful even on the days when it is a struggle. I am very passionate about my business and the support I provide to other small business owners, but being self employed is a very vulnerable place to be. I run this admin support business called AdminAnywhere... Yes, I'm a virtual assistant... Yes AdminAnywhere is just me... And yes, there's a lot of ebb and flow with the workload and finances. So there's a limit on how much you have available to spend on making it all look shiny and professional. I've nurtured this business for 5 years now, after building the core experience in my field since leaving school far too many years ago. So while I exude the passion I have for my business and the support I can provide, that passion can very easily go into over-protective mother mode, and it did later on in this event. During some of the networking time I was chatting to someone I'd met recently at another event. He mentioned that he'd referred me to one of his friends, and relayed a little criticism about something on my website which had given his friend a negative impression of my ability to deliver my service. BANG! That 'over-protective mother' mode kicked in. My automatic reflex was to defend my child, without looking at all the angles. I'm not proud that I launched into that mode and my tirade of the excuses of why my website isn't a professionally designed creation, and the financial limitations of being self employed etc. And how could that be any reflection on how I support my clients anyway? The first thing I did when I returned from the event was to check my website out. I couldn't find any problems, and was about to head down that self-doubt route; but instead I looked at what I had created and thought back to what Ben Kench had said earlier in the day and some of what Brad Burton had also said in his presentation too. Be Authentic... Be You... Your USP is YOU! For that brief moment earlier in the day, I had lost sight of the most important part of the conversation I was having that triggered my vulnerability. I'd lost sight of the most important piece of the discussion; the fact that this contact, who I'd only met on one occasion previously, had referred me. That first meeting had given him the confidence to share my details with another of his contacts. On that first meeting I was my regular self, exuding the passion I have for my business; and being honest that there are quiet weeks as well as busy ones. I'd also asked about his business and listened to his passion for the type of client and work he prefers as well as the work that he prefers to avoid. We were being authentic and passionate about our businesses. Yes AdminAnywhere is me! TOO RIGHT! I've mothered and nurtured it and I'm proud of what I've achieved so far. It's not a clone because I am unique, as are all the other virtual assistance businesses out there. They have their own USP's too. My website is different because I made it myself. To me it shows my creativity and flexibility in what I can do. It fits with how I handle other aspects of my marketing too, as I definitely like to think outside the standard box. As well as providing a bespoke service to each of my clients. One size definitely does not fit all. AdminAnywhere will continue to evolve, just like the whole of my life. Learn from misjudgements and grow with experiences. Be proud of what you achieve. Keep the passion alive, and don't be afraid of showing it... although maybe it's best to keep an eye out for that over-protective mother though. And I may not meet your stereotypical image of what a personal assistant should be like. No I'm not that perfectly groomed & manicured secretary in a sophisticated business suit and high heals. That's definitely not who I am. But, can I do your admin? Check out the reviews I have here and the case studies on my website and make your own judgement and contact me if you need my help. Hiring a VA is Expensive, Isn't it?